How Much Will You Pay to Resize Engagement Ring? An engagement ring is one of the most important jewellery a girl could ever have, aside from her wedding ring of course. It should fit perfectly because she’s going to wear it for a very long time and even a slightest misfit should be fixed to avoid discomfort or even worse, losing the thing. If you have plans to resize engagement ring, no need to worry because most jewellers are offering this kind of service, but before you go ahead there are some things that you need to know. There are plenty of reasons why people resize their engagement rings. The most common one is the guy has not got the right size when he bought it. Sometimes when women gain or lose weight, the ring becomes too tight or too loose and needs resizing, or if it happens that the ring is needed to be transferred to a different finger (accident or allergy). Whatever the reasons are, an engagement ring needs resizing to make it a perfect fit to your finger without any worries of its slipping. Step 1: When your engagement doesn’t fit, the first thing that you can do is to call or visit the jeweller where you bought it, so they can take a look and see what needs to be done. If the original store is not available, you can still visit other jewellers and have your ring checked and see what needs to be done. Step 2: If you need a smaller band, the jeweller will resize the engagement ring by soldering added metal onto it. He will select metal beads that are of the same material as your ring so that it blends well and seems not to be off and the added material will make it fit. Step 3: If your ring needs to be a little bigger, just advise your jeweller and they will cut your engagement ring in half and replace it with a bigger shank to give you more space. 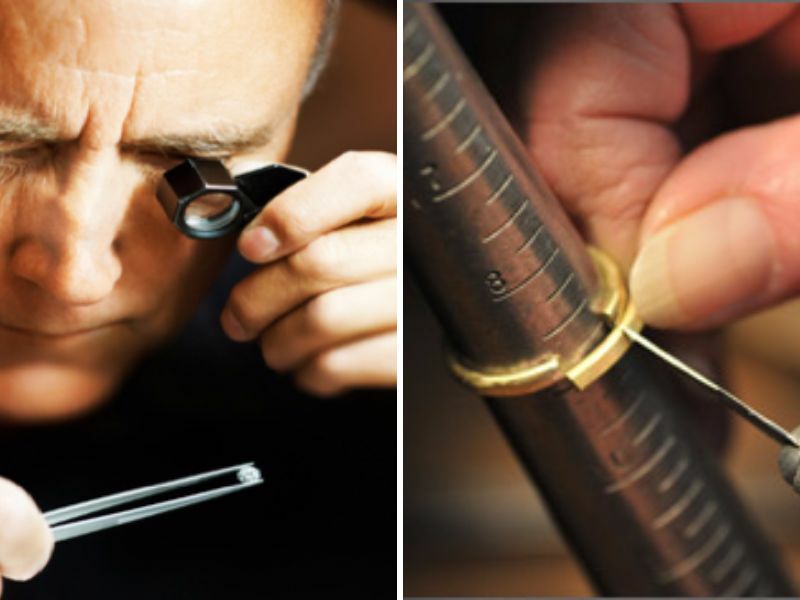 Step 4: Another way that a jeweller can adjust your ring size is by checking the metal used. Some metals are malleable, which means it’s easy to stretch and there is no need to add or replace any part of it. Just ask your local jeweller and have your ring checked. Step 5: After all the work, try on your ring! Make sure that it fits perfectly and slides seamlessly, not bumping on your knuckles. Lastly, make sure if you’re comfortable with the fit, if it’s still too tight or is uncomfortable, you need have it checked again. 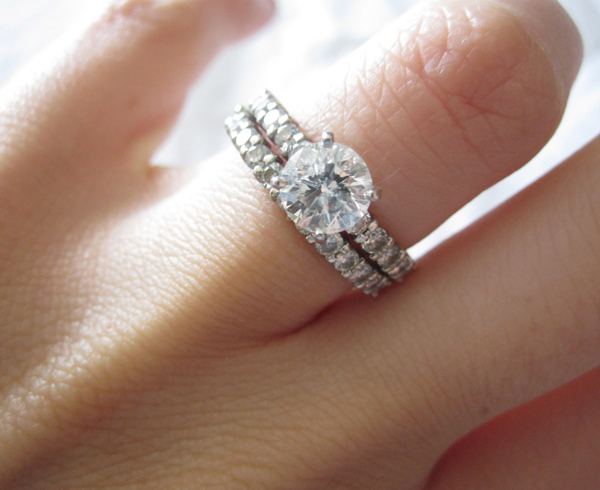 There are several things to look into regarding the cost of resizing an engagement ring. Things like labor, material, and even prizes of gold can affect the price. A simple resize job may cost around $50 to $75. Tip 1: If your ring has some engraving, side stones or some intricate designs on the side, be prepared because it will cost more. It’s not impossible but it will be a lot of work. Tip 2: If you want your ring to be smaller, instead of having it reshaped or cut which costs more, you can resize your engagement ring by asking your local jeweller to just add metal beads to make it tighter. By this way, you can have a cheaper price to resize your ring. Tip 3: Before running to any other jeweller for resizing your engagement ring, go back to where the ring is bought and they usually do it for free! May it be at your local shop or online, don’t hesitate to ask. Now that we’ve discussed almost everything, here are some final tips before you call your jeweller for an appointment to resize engagement ring. 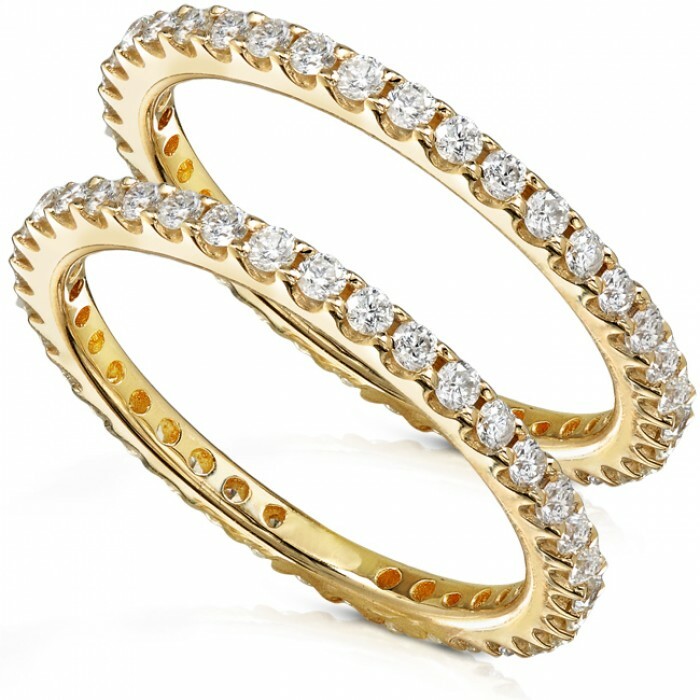 If you have an eternity ring embellished with gem stones on the side, you may need to think about it many times. 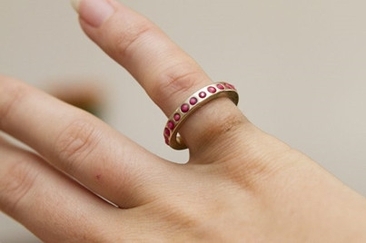 Resizing an eternity ring might damage the stones or the ring itself. Certain metals are also simply non-resizable; it includes stainless steel, titanium and tungsten. Tension set diamond rings or something similar are also difficult to resize, so make sure you get the correct size the first time. Though resizing it can be possible, if your jeweller does not have any experience resizing this kind of ring, it may affect the tension setting or even worse, misaligning the stone. 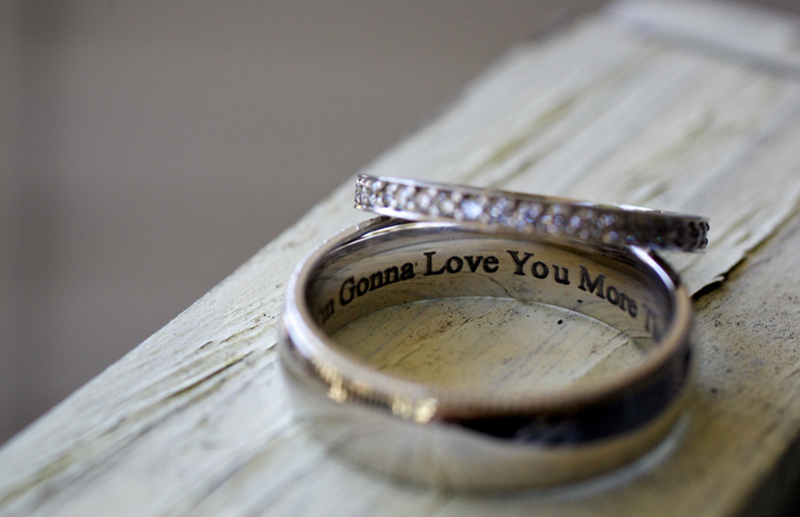 Rings with inscriptions or custom designs might cause permanent change on your ring so be careful as to the resizing. Antique rings should not be stretched to. Lastly, find someone who specializes in resizing engagement rings and not just any other jeweller. Before you leave the store, fit your ring and make sure it’s comfortable! If there are any misfits or discomfort, like that it slides or is still tight, tell your jeweller before making any payments. Are you going to marry this spring? 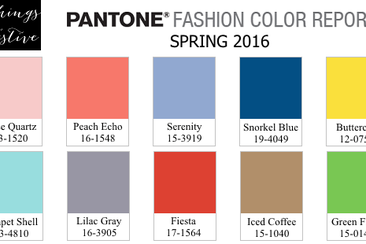 And still not able to decide your spring wedding color? Here are some blooming spring wedding colors combinations to choose the one for you. Are Rings Necessary for Civil Wedding? Thinking about a civil wedding? What is it? Are rings necessary for civil wedding? 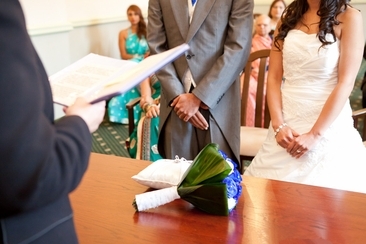 We've answered everything you need to know about having a civil wedding ceremony. Trying to make a romantic proposal without rings? 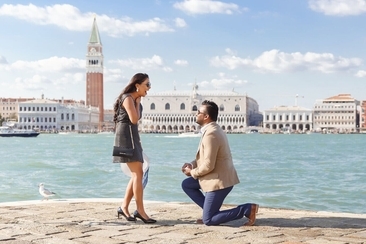 It can work if you do a few things to make the proposal ultra-special. Here are a few tips to pull it off properly. Do you have a wedding coming up? 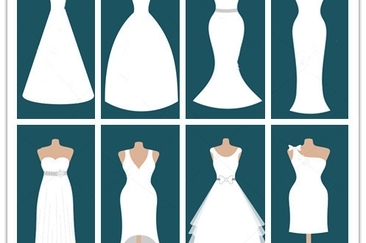 Finding the right types of wedding dresses for your body shape will help you discover the perfect dress. Why a gold ring turns finger green is a question upsetting many of you. Here is a complete information guide about its causes and precautions to help you out. 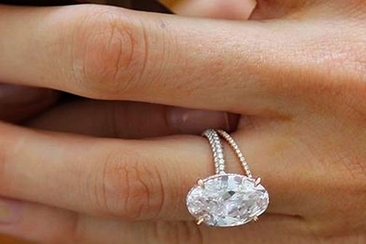 Blake Lively's engagement ring is one of our favourite celebrity engagement rings. Find out how you can get the look at a fraction of the price with our budget-friendly guide.